To be chosen “Builder of the Year” you have to be talented, experienced, successful, and make your buyers happy. With a 94% customer satisfaction level, LifeStyle Home Builders has achieved all these benchmarks. LifeStyle believes that your new home should reflect your personal preferences, design taste, and lifestyle. They are interested in building a home for you that enhances the way you and your family live, and have been constructing quality homes since 1996. 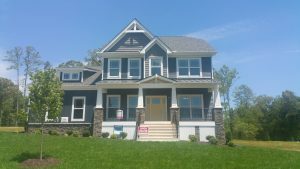 LifeStyle Home Builders offers numerous distinctive exteriors and innovative floor plans to meet the needs of young families, empty-nesters, mature families with teenagers, or young couples and singles. They want each buyer to feel pride and excitement about their new home. Very important to LifeStyle Home Builders is enjoyment of the building process. They have a team of professionals whose sole job is to make your experience pleasant with the goal of helping you to achieve the home of your dreams. Their Design Center is state-of-the-art. Their experience and advice of the staff at the Center is invaluable. Contact them at LifeStyle Home Builders.